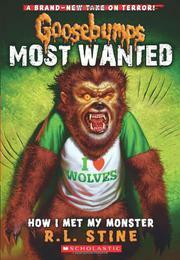 Goosebumps “most wanted” monsters return in all-new tales intended to terrify. Twelve-year-old Noah “Bean” Bienstock is frightened of monsters, and he’s been having awful dreams of a huge, dark beast dragging him underwater. He’s so bothered by the dream that he sees monsters everywhere: running down the street, in the school’s pool, even in his best friend’s apartment. He knows they’re real, and he’s sure they’re after him. Could Monroe, the new kid in Sternom House Apartments, be the monster? Could it be Harlan, the bully who takes Bean’s lunch money every day? Why isn’t Bean’s best friend Lissa more helpful? Why aren’t his parents more supportive? Is he going crazy? When the dream changes, and the monster tells Bean he’s next, Bean really wigs out. Stine’s new Goosebumps subseries recycles monsters that starred in the original volumes. The writing is repetitive and formulaic, but it’s a formula that has worked for over 20 years: silly/scary covers with only a few frights inside, chapter-ending cliffhangers resolved in the first few sentences of the next chapter and a twist ending. Bean’s first-person narration is full of hyperbolic, goggle-eyed mugging and lots of horrifying italics!